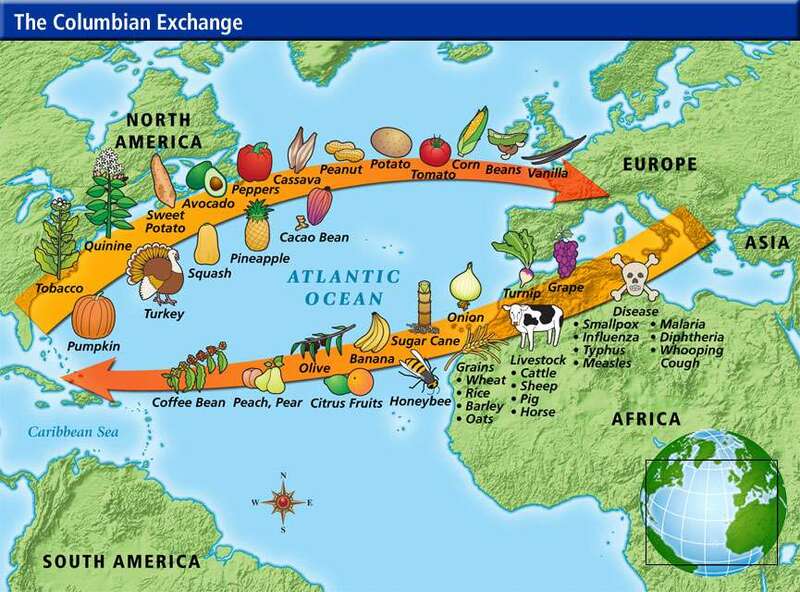 SOL 4d) describing the Columbian Exchange, including its impact on native populations. the lifestyles of American Indians. led to the use of African slaves. • Slavery was based on race. 1. Explain the exchange of disease. 2. What are some Old World animals brought to the New World? 3. List some New World plants brought to the Old World. 4. What is the relationship between new world plants and population growth? 5. What was brought to the New World to work the farming fields and plantations? 6. What do you think, is the world better off with or without the Columbian Exchange?